Boxpark marked the opening of their biggest location to date with a major launch weekend kicking off with a Rinse FM takeover of the 20,000 sq ft events space, hosting live sets from a specially curated line-up of world-renowned artists and DJs including The Heatwave, Heartless Crew, Redlight and Unknown T.
All profits from the night were donated to Boxpark partner charity OnSide Youth Zones, whose vision is to give all young people somewhere safe and inspiring to go in their leisure time. Boxpark Wembley hosts a diverse selection of food and beverage vendors year-round, with sign ups including: Ugly Dumpling, Nanny Bills, Smoky Boys, Cut + Grind and many more. Boxpark’s focus is on bringing independent, local brands to the fore. 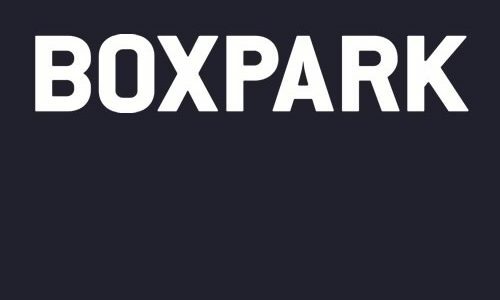 The original Boxpark, in Shoreditch, was “inspired by a love of small independent retailers and container architecture,” according to Boxpark founder and chief executive Roger Wade. The company’s third such site, Boxpark Wembley is its biggest and most exciting launch to date. Boxpark’s 20,000 sq ft foot event space adds to that already in Wembley Park, complementing Wembley Stadium, Wembley Arena, and the soon to open Troubador Wembley Park Theatre.